QUESTION: My child wants to remove his grandmother from his Facebook friend list because she makes embarrassing comments online. What should I do? According to a study last year by Microsoft and AARP, kids are connecting with grandparents in unprecedented — and sometimes slightly embarrassing — ways thanks to social networks. Fifty perfect of seniors are online, and the benefits of cross-generational connections for kids can include a bond with culture and family history. Grandparents benefit by staying active, learning technology and feeling a sense of purpose. As great as those connections can be, teens and grandparents are often navigating uncharted territory. First, help your teens understand how much it means to grandparents to see their activities and photos online. Then, remind grandparents to be cautious in posting comments, as teens and young adults can be extra emotional and self-conscious. Keep comments simple. Teens are easy to embarrass. And a seemingly benign comment like “Way to go super kid!” can be mortifying to a teen in front of the friends on their social network. Ask before posting photos. Your teen may not appreciate being tagged in a photo where he is politely modeling a handmade sweater from grandma. Grandparents should ask before posting photos of their grandchildren. Provide some context. Teens use the Internet to express themselves — they post song lyrics, political views and social comments that they might not normally share in a conversation with their grandparents. Help grandparents remember that what they see and read online may be easily misinterpreted. Try other communication. If problems persist, suggest a weekly email to a grandparent or a conversation over Skype. A regular weekly phone call may be a welcome trade-off for both sides. 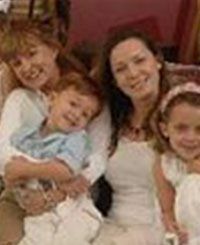 Sharon Cindrich is a mother of two, wife of one and keeper of several household pets. A seasoned writer with a special focus on kids, parenting and family technology, Sharon has written several books including E-Parenting: Keeping Up With Your Tech-Savvy Kids and A Smart Girl\’s Guide to the Internet, which was conveniently published in Kindle format a year ago. Her syndicated column, Plugged In Parent, appears in parenting magazines and newspapers across the country and she appears frequently on television and radio to talk about technology and parenting. 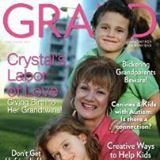 NOTE: A version of this article appeared in the March April 2014 issue of GRAND magazine and the January 2014 edition of Chicago Parent.